Monday, February 27, 2017 was an evening to remember! 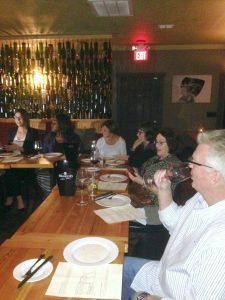 Guests who attended LRC and Red Door’s Wine Market Monday event last month, delighted in twelve samplings from South Africa African wines, a mouthwatering mounded antipasta platter, succulent boneless pork tenderloin chops and “To-Die-For” crème brulee’ while listening to interesting and practical wine information. 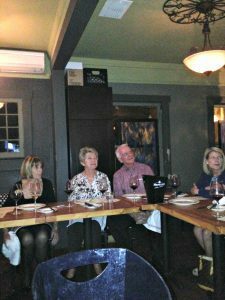 LRC was privileged to be selected as the Red Door Wine Market Monday cause for February, an initiative by Red Door owner Richard DeAngelis to support local charities. Fifteen loyal LRC folks enjoyed an evening of divine food and drink while LRC received $25 per ticket in return. LRC would like to thank Red Door and all those who came out to support not only the organization, but the students of our local community!